According to Israeli Law Center, Facebook is an accessory to terror by refusing to shut down incitement-filled pages. Among the features of the latest wave of terror against Israel is the ongoing incitement by Arabs on social networks, centered on Facebook. The social media site contains many pages that are authored by terrorists and their supporters, providing a support network for those who undertake attacks against Israel. In addition, there are many pages that contain practical ideas and suggestions on how to carry out attacks, including the most effective methods of stabbing and how to prepare bombs from household materials. 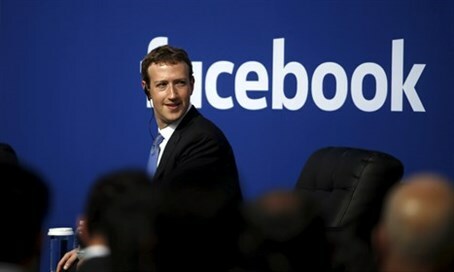 That makes Facebook an accessory to terror, according to the Israel Law Center (Shurat Hadin) organization, which is planning to sue Facebook for supporting terror in a US court, it announced Thursday. The lawsuit will be a class-action suit, allowing families, friends, and other significant others of terror victims to make claims. Among the evidence Shurat Hadin plans to present is a statement on the Facebook page of the terrorist who killed Aharaon Banita-Bennett and Rabbi Nechemia Lavie in Jerusalem last week. The terrorist, 19-year old Mohanad Halaby, wrote on his Facebook page that he “wanted to be a martyr” and that “the third intifada has started.” Halaby received many “likes” and messages of support for his message, and the next day he committed his act of terror. The lawsuit will demand that Facebook shut down all pages that encourage incitement and terrorism, and that it implement tougher standards to keep such content off its network. The organization has asked anyone interested to send it examples of Facebook incitement so that it can be included in the lawsuit. Attorney Nitzana Darshan-Leitner, chairperson of Shurat Hadin, said “this was an activity against terror that any Israeli could get involved in. Facebook has become a paradise for terrorists, where they can advertise their acts of terror, gain respect, friends, and support, and instructions on how best to kill Jews."